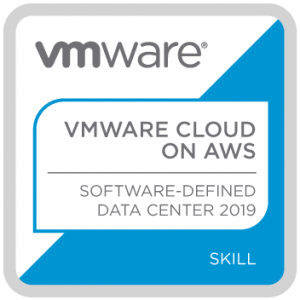 My VCP6-DCV was due to expire at the end of Feb 2018, and while I had hoped to go for my VCAP, I was entirely too busy in and out of work to devote the amount of time I’d need, so I opted to renew my VMware Certified Professional (VCP) certification to the latest 6.5. I have developed a bad habit over the years, which is to renew my VCP with very little time to spare. I did it in 2016, and again in 2018. I won’t be leaving it until last minute again so my first bit of advice would be to log into VMware Certification Manager and look at your expiry date (for current VCPs, ignore for new VCPs), and begin to plan what you’ll need to study to gain/retain your VMware certification. 1) Read/print the VMware Exam Prep Guide for this exam. I found it really useful to print this off and tick each item off to boost my confidence. It also helped me identify areas where I focus on and where I could skim over. Do not underestimate this document being just 15 pages long, as the tools and reference section offers links to tons of information that you must work though, and take note of. If you are a VCP 6, I found this useful to show what has changed in the blueprint from 6 to 6.5. 2) Read the “What’s New in vSphere 6.5” whitepaper from VMware here. If you’re not in the habit of reading whitepapers, I would highly recommend you start setting aside a small amount of time for these, as it is often how people you meet sound so well informed on what’s new, and how the latest technologies differ from previous versions. 3) CBTs. This time around I used Plurasight as we receive a free subscription in work. Pluralsight do not have a VCP6.5 section so you have to piece together the videos that will support you in your studies. I recommend the following by David Davis VMware vSphere: Install, Configure, Manage [V6.5] and his other 6.5 videos here. 4) VMware Hands on Labs (HOL) the above which can take some time if you do it properly. It is essential that you do your lab work as while I cannot break NDA and tell you any of the questions, I can assure you there will be some along the lines of, you’ve just done X, what would you choose next to achieve Y. If you can’t visualise the window you’d be in at this point you’re stuffed. The labs are free and excellent so having servers at home is no longer a barrier to getting your hands dirty, although obviously you should be working with the technology in your career to attempt an exam like this. Its likely that you are as you need to have attended an official VCP course or be an existing VCP to become certified. You can also try vSphere 6.5 for Free for 60 days if you have a home lab. 5) I always watch CBTs at least twice with a gap in between of two weeks preferably works for me. I feel I take the information in initially but that HOL cements my knowledge so that on the second viewing, the penny really drops for me. Optional 6) If you have the budget, the practice exams are really good to give you an idea of what to expect. Being a VCP4,5,6 prior to this I decided to skip this on this occasion. Mandatory 7) Always sleep well before any exam, it is key to your success on the day. Plan your journey to your testing center in advance, and think about traffic. It’s always best to plan to arrive early to ensure you don’t add stress to your day.